A small US town Warren, the county seat of Marshall County, Minnesota is the new champion in the country’s clean energy drive. The city, which is home of merely 1,563 people, is expected to produce maximum solar energy through solar panels that are tilted towards the equator at an angle equal to the latitude in coming years. Warren can be counted as a perfect example of a small town, which is going big by picking solar energy in the recent past. Solar installations in Warren are mostly titled at the latitude of the city (Average Tilt at Latitude or ATaL) average 4.21 kWh/m2/day, which is about 18% greater than the average monthly GHI of 3.58 kWh/m2/day. This is approximately 6% greater than the average monthly DNI of 3.96 kWh/m2/day. 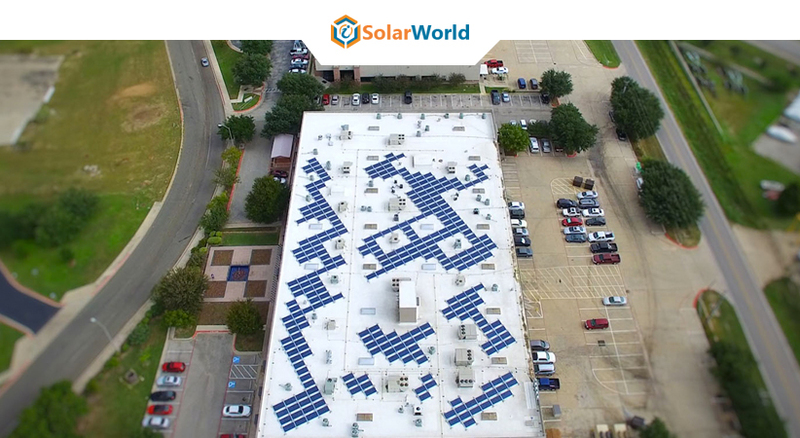 The city has a yearly average solar radiation value of 4.6-kilowatt hours per square meter per day (kWh/m2/day). July is considered as the month with the highest historical solar radiation values with an average of 5.77 kWh/m2/day, followed by August (5.68 kWh/m2/day) and June (5.65 kWh/m2/day). December with an average of 2.72 kWh/m2/day, followed by November (2.94 kWh/m2/day) and January (3.33 kWh/m2/day) are three months when solar radiation level is comparatively low. Warren has advanced its local economy with energy efficiency and renewable energy while saving the city on its bottom line. As a Minnesota GreenStep City, the first action of the town was to conduct energy audits of the city’s existing buildings. The audit was conducted to check where the energy efficiency improvements could be implemented. Allen Anderson, a Certified Energy Manager from Franklin Energy Services, LLC and Karl Frigaard with Warren Economic Development Authority were chosen by the Warren City Council to oversee the entire audit. A city shop, which was characterized as particularly the poor-performing building, used to store municipal vehicles, a backup generator, and also large equipment. Under the Climate-Smart Municipalities Partnership program, the city is connected with Germany town Arnsberg. During the three-year program, both the sister cities will learn from each other to address the economic development opportunity of renewable energy and sustainability. Not only this, the tiny city received Minnesota Clean Energy Community Award for their City Benchmarking Initiative at the 2018 CERTs Conference in March. An automated benchmarking program was developed that initially track utility usage of its buildings in B3 Benchmarking, to expand to both the commercial and residential buildings. • In 2014, the first street in the town upgraded to LED lighting. • In North Star Manor Assisted Living Building, a loop heating/cooling system and LED’s were installed. • Installation of LED lightings in the Westbridge Center, which was previously the city hospital. To keep pace around this area, stay connected with us by subscribing to our newsletter.